Service King board member and former Virgin America CEO David Cush has replaced longtime Service King employee Chris Abraham as CEO, the national collision repair chain announced Friday. 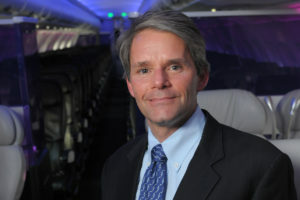 Cush ran Virgin America as CEO from December 2007 to December 2016, according to a Bloomberg profile. “During his tenure at (Virgin America), Cush led the airline’s growth into a $2 billion dollar business, with 63 aircraft in operation while winning every major airline quality award,” Service King wrote in a news release. Salary.com reports Cush made more than $3.68 million in compensation in the fiscal year ending in 2015, including a base pay of more than $667,000, bonuses and incentives of more than $694,000 and $2.29 million in stock. Cush also had an extensive career at American Airlines prior to helming Virgin, leaving the company as senior vice president of global sales and distribution, and worked for two years as chief operating officer of Argentina national airline Aerolineas Argentinas. Bloomberg in February 2017 cited anonymous sources to report that the Blackstone and Carlyle Groups were examining selling Service King for what could be as much as $2 billion. However, a deal never materialized (obviously). The chain had about 309 shops at the time. It’s now up to 339. Abraham had been a service adviser to the general manager from 1995 to 2003 and became director of customer service in 2004. 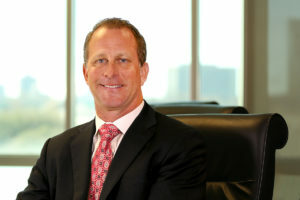 Service King made him a market vice president in 2008 and promoted him to CEO in 2012, shortly after its sale to Carlyle. The company credits Abraham’s CEO tenure for taking the chain from a less than 50-shop Texas collision repair MSO to seven times that size and three times the value today. This growth was in part fueled by the company’s purchase of 62-location Sterling Auto Body from Allstate in 2014 and then by what Service King said was Abraham’s ability to bring on Blackstone to buy a majority stake from Carlyle that year.